Marx humorously responded to Torrens: “No doubt this ‘first stick’ [Stock in German] would also explain why stock is synonymous with capital” (Marx 1977, p. 291, n. 10), knowing full well that the low hanging fruit of early capitalism was a violent seizure of other people’s means of production. In Capital,Smith’s concept of “original accumulation” appeared as a word that could mean either original or primitive. Then in the English translation of the English translation of Capital “primitive accumulation” first appears. Protests, such as More’s were moral and ethical. In contrast, Smith was intent defending capitalism, lest it be tarred with disreputable behavior. He set out to make the case that primitive accumulation had nothing to do with capitalism. The core of his ideological project was to present capitalism as a natural system of voluntary of market relations, which are devoid of conflict, and benefitted all of mankind. Such conflict had no place in Smith’s vision of the world. Primitive accumulation appears in three contexts: Marx’s critique of Smith’s excessive emphasis on the division of labor to the exclusion of what Marx called the social division of labor the distribution of labor among separate workplaces; Smith’s pin factory; the invisible hand as a metaphor for capitalism as an efficient system of conflictfree development. The concept of the social division of labor is interesting, even within the context of conventional economics. Conventional economists who address this subject explore how industries split off and specialize in a way that maintains the presumptive market efficiency. Such work unintentionally casts doubt on the typical perspective of economics in which business acts in such a way that the economic achieves a timeless equilibrium. From Marx’s perspective, primitive accumulation is an essential part in the evolution of the social division of labor, as was the case when displacement forced previously selfsufficient peasants to find a way live by wage labor. In the Wealth of Nations,Smith introduced the invisible hand to his readers in the course of discussion that is especially relevant for a modern version primitive accumulation as it is taking place in Europe today. Smith correctly understood that England’s selfinterest would be to avoid a formal empire in North America, realizing that an informal arrangement would provide all the benefits of empire with a minimum of expense. He did not go so far as to openly advocate primitive accumulation in North America, but he would have had to engage in willful ignorance not to have realized the growing settler economy would have been impossible without it, especially because the indigenous people did not share the European idea of property rights. In this way, Smith unintentionally pointed to an international dimension to primitive accumulation. Initially, Smith’s Wealth of Nations(1776) was not a particularly popular book. When Thomas Robert Malthus signed out the book from his college library in 1789, he was only the third person to have done so. The modest interest was surprising, given Smith’s renown from a more philosophical earlier book, The Theory of Moral Sentiments. Suddenly, with the French Revolution in 1789, fear swept through the world of British property owners. The panic suddenly stimulated demand in Smith’s ideological defense of the status quo. What explains the delay in appreciating Smith’s book? After all, the first chapters of the book successfully portrayed the market as a realm of liberty and justice, devoid of conflict; however, Smith contradicted much of what he said in later parts of the book once he addressed more practical matters. For that reason, virtually every school of economics can find something to admire in Smith. As Jacob Viner, a conservative University of Chicago professor, wrote, “Traces of every conceivable sort of doctrine are to be found in that most catholic book, and an economist must have peculiar theories indeed who cannot quote from The Wealth of Nations to support his special purpose” (Viner 1927, p. 207). Liberals, radicals, and even Marxists often embrace Smith because of his frequent expressions of progressive sentiments. Horner’s fears were mistaken. Popular audiences generally read Smith superficially as nothing more than a simple defense of laissez faire, mostly recalling two ideas from Adam Smith: his expression, the invisible hand, and his delightful illustration of the division of labor in the famous pin factory. Smith’s authoritarian pronouncements, his proposal to control religion, and his antagonism to big business mostly went unnoticed. As a result, “There were more new editions of The Wealth of Nations published in the 1990s than in the 1890s, and more in the 1890s than in the 1790s” (Young 2007). In the case of Smith’s pin factory, the reader is given a picture of a rustic workshop in which a handful of workers are able to greatly increase their productivity because of the division of labor, presumably organized by some kindly entrepreneur. The picture that Smith painted has delighted generations of readers who enjoyed this idyllic explanation of capitalism. In this sense, Smith was an important figure in obscuring the role of primitive accumulation. Smith, as a professor of rhetoric and the author of an influential book on the subject, had a clear grasp of what was required in order to convince others. In the first part of the book, Smith took care to apply that skill. His treatment of the pin factory, in particular, was a masterpiece of rhetoric. Smith informed his readers that he visited the operation, but offered statistics about workshop’s output from plagiarized articles about French operations statistics that were deceptively used. As a skilled rhetorician, Smith knew the importance of obscuring anything that would complicate his message especially the truth. Smith’s train of thought is confusing. First, the law is needed to constrain the fury of the poor; then the market provides for the poor very well; followed by the wretched state of the people who worked on the land the least fortunate of the workers. For his grand finale, after decrying the “small share” of the poor, Smith curiously veers off to ask what accounts for “the great share” that these same people have. His answer should come as no surprise to a modern reader of Adam Smith “The division of labour amongst different hands can alone account for this” (Smith 17621766, p. 341). Voila, the pin factory. In his description of the simple pin factory, Smith gave readers no indication that the Industrial Revolution began in Scotland. Instead, he wrote as if it did not exist at all. In fact, the largest industrial operation in the world was located within walking distance of the small town in which Smith was writing his book. This factory, the Carron Works, was producing cannons for the British Navy, which permitted England to engage in primitive accumulation around the world. Although the owners were Smith’s personal friends, his readers can find no mention of this important operation. Smith wrote as if his pin factory was state of the art. It was not. In fact, the Dockwra Copper Works, founded in 1692, almost a century before, had an integrated factory, which included at least twenty four benches for drawing wire to make pins (Hamilton 1967, p. 103). In 1770, while Smith was working on his book, Arthur Young published A Six Months Tour Through the Southern Counties of England and Wales. Young was a prolific observer of agriculture, as well as economic life in general. His books were widely translated in European languages. This particular book was already in its third edition by 1772. A careful study of authorities used in parliamentary debates found that MPs cited Young far more than Adam Smith (Willis 1979). Young described an integrated pin factory, the Warmley Works, founded near Bristol in 1746, which he recommended as “very well worth seeing” (Young 1772, p. 170). Indeed, because people were fascinated by modern technology, industrial tourism was popular. For example, Benjamin Franklin and some friends engaged in a tenday long excursion of industrial tourism (Williams 1771). Given Young’s reputation, the Warmly Works are likely to have been a popular destination. After the factory produced 3by4 feet of metal, other machines would cut these plates into 17 strips. Then, a different machine would cut the strips again until they were thin enough to be drawn into 17 foot lengths of wire. Finally, young girls would operate little machines to fashion the pins. Ordinarily water power would run the machines, but when the water wheel would not run on its own a steam engine would lift water from the stream to assist the natural flow of the river (Young 1772, pp. 17074; Allen 2009, p. 147). Although Smith suggests that he visited the pin factory, he never mentioned working conditions. However, the uncited French articles upon which he relied for the data he used for the pin works were explicit about the adverse health effects of working there: people died young from pulmonary ailments (Duhamel du Monceau 1761; cited in Peaucelle 2006, p. 502). Smith also skirted any discussion of working conditions in the same section as the pin factory where he also mentions the work of the young boys who were making nails in the neighborhood. Besides informing his readers that the boys were very dexterous, he neglected to add the context in which they found themselves working there. The Carron Works paid nail makers one guinea to move nearby to increase the demand for iron rods that would be formed into nails. This program was successful enough that about 30 percent of the nation’s nail producers were located near the factory (Campbell 1961, p. 79). Part of the incentive for moving their production near the factory was that the owners would make arrangements with a poorhouse to supply children to work for the nail makers. The mistreatment of the boys was an ongoing controversy (Campbell 1961, pp. 8081). Because the economy could produce more, workers could consume more, and perhaps one day, even run their own trifling enterprise. The mere rearrangement of work created a great leap in productivity. Smith told his students that without the division of labor, a single worker “with his utmost industry, make one pin in a day, and certainly could not make twenty.” But with the division of labor, the output per capita soared to two thousand. By the time he published The Wealth of Nations, the number more than doubled to 4,800 pins (Peaucelle 2006, p. 494; Smith 1789, I.i.3, pp. 1415). In his lecture, Smith gave his students a more accurate picture of the pin factory. There Smith explained that if “the same person was to dig the metal out of the mine, separate it from the ore, forge it, split it into small rods, then spin these rods into wire … ” they might be able to produce a single pin each day (Smith 1759, p. 564). No wonder the workers in the pin facture could produce so much more than the single worker. Much of their work had already been completed before they began. They did not have to mine and process the wire. Smith’s comparison is comparable to giving a person who hangs a masterpiece on a museum wall credit for the painting or crediting the cashier at a supermarket for producing the food. However Smith, the former professor of rhetoric, understood that leaving out the basis of his calculation, he could capture his readers’ attention with the amazing increase in productivity that results from the division of labor. Since Smith first published his book in 1776, generations of students continue to learn about the amazing effect of the division of labor. In effect, Smith was calling attention to the social division of labor. Ironically, although Smith generally ignored the social division of labor, the social division of labor was the centerpiece for his most memorable part of his book, where with a new social division of labor, the workers no longer had to make the wire from scratch; they began with wire already in their hands. The exclusion of the Carron Works adds to the ideological power of Smith’s story. The capital embodied in the pin factory (not what anybody would really call a factory) is small enough that one can imagine that the workers could soon set up their own factory. In other words, class does not enter into the picture. In the Carron Works, no such possibility exists. Finally, in Smith’s idyllic story, readers would not be likely to ask why anybody would choose to work for wages in such a factory if they could live on their own. The classical political economists who followed Smith were no more ready to address primitive accumulation honestly than Smith had been. The subject had been carefully excluded from their published works, but privately in letters and diaries they not only acknowledged primitive accumulation but recognized it as a beneficial process without being explicit about who would be the beneficiaries. However, one exceptional economist before Smith provided a careful treatment of primitive accumulation. Sir James Steuart was a remarkable figure in classical political economy, growing up in the same small town as Smith and the Carron Works. Steuart’s great work, An Inquiry into the Principles of Political Economy (1767), written nine years before Smith’s, was, rhetorically speaking, the opposite of Smith’s. Unlike Smith, the master rhetorician, Steuart seemed to care little about stylistic niceties, as he admits right from the beginning. Moreover, readers found the material difficult because Steuart was brutally honest about the workings of the capitalist economy he saw emerging around him. Steuart was a great admirer of Sparta. He was not unique in that respect. Collectivist ideals were common during the Enlightenment. What made Steuart’s use of Sparta unique was not his approval of totalitarian methods, but his straightforward recognition that these methods could be used to further capitalist development. While Steuart (1767; 1: 51) taught that slavery was a “violent method (for) making men laborous in raising food,” he understood that the market, properly arranged, could accomplish the same objectives that Spartan slavery promised. In the past, he argued “men were … forced to labour because they were slaves to others; men are now forced to labour because they are slaves to their own wants” (ibid. ; 1: 52). What did Steuart mean by “wants”? He wrote, “Those who become servants for the sake of food, will soon become slaves” (ibid., 1: 28). Thus although wage earners, unlike slaves, are formally free, Steuart understood that workers would be subject to an increasingly strict discipline. In this sense, capitalism seemed to be the next best alternative to a slave society. What seems to have brought some of the early Methodist missionary workers to the coal miners was the suggestion that there was no need for them to go as far afield as America in their efforts to convert the barbarous heathen: the colliery districts could provide them with plenty of savages to civilize and to Christianize!” (Nef 1950, p. 232; referring to Southey 1820, pp. 2359, 416ff. Although no other classical political economist would have been so blunt, this idea was not totally unique to Steuart. For example, Mirabeau, whose work differed from that of Steuart in many respects (see Chamley 1965, 73 ff), exclaimed, “The whole magic of wellordered society is that each man works for others, while believing that he is working for himself” (Mirabeau’s Philosophie Rurale; cited in Meek 1963, 70). Cantillon’s analysis of how feudalism and the market could lead to the same outcome offered an even closer parallel. This review should not be read as a refutation of Steuart, but as a clarification. Certainly, the reviewer’s semantics, referring to hunger and poverty instead of wants, is more informative than Steuart’s. Nonetheless, Steuart’s presentation has the merit of reminding us of the power of the silent compulsion of the market. As a result, Steuart looked to a statesman to guide the system. This perspective led him to focus his attention on one overriding question: How were wants to be structured so that they would effectively enslave people? Here we come to the heart of Steuart’s work. Steuart found himself in a land where labor had not yet been fully subjugated to the needs of capital. His agricultural experience was well suited to equip him to become the theorist par excellence of primitive accumulation. He knew that the traditional Highlanders had wants, but they were not yet “slaves” to them in the sense that Steuart used the term. In responding to this situation, Steuart went farther than any other classical political economist in trying to develop a program to integrate the traditional sector into the economy. Steuart (1767; 2: 80) clearly connected his desire to purge the land of subsistence farming, with the rise of commodity production. Steuart realized that merely throwing the people off the land would not necessarily lay the path for a smooth transition to capitalist social relations. He recognized the complexity of the underlying dynamic of primitive accumulation, along with the need to be specific about the nature of this momentous transformation. Unlike other classical political economists, Steuart stressed that one cannot overlook the tempo at which changes are introduced. What may be disastrous when abruptly introduced might well be beneficial if it could be accomplished more slowly (ibid. i, pp. 16061, 284; and chap. 19). In Steuart’s words, “Sudden revolutions are constantly hurtful, and a good statesman ought to lay down his plan for arriving at perfection by gradual steps” (ibid., i, p. 111). The recent experience of the countries of the former Soviet Union also suggests how difficult the sudden transition to capitalism can be. In particular, primitive accumulation required much caution. With this thought in mind, Steuart explained (ibid. i, p. 175), “A young horse is to be caressed when a saddle is put upon his back.” For this reason, he called for the gradual conversion of corn fields into pasture (ibid. i, p. 181). Unfortunately, many modern economists, even with the benefit of hindsight, have failed to take the tempo of their project into account in confidently dismantling traditional agricultural systems around the world. In addition, some of the advisors of postSoviet Russia could have benefited from finding the warning in looking at Steuart’s dusty volumes. Adam Smith gave comfort to later economists, who were repelled by anything like Steuart’s honesty. According to Smith’s laissezfaire ideology, markets were naturally harmonious. Force of any kind had no role to play in his published analysis. However, in private communications Smith displayed a willingness to resort to force. For example, in August 1757, a few months after the Militia Act first authorized raising a militia, a small group of village militiamen demanded a barrel of ale from an aged clergyman. Later, they demonstrated their discontent, asking for money. According to an article in Scots Magazine, participants said they would willingly sacrifice their lives for King and country but “would not be obliged to quit home for sixpence a day to serve in the militia” (Mossner and Ross 1977, n p. 22). Although one might commend these reluctant militiamen for their merchantlike calculation of the value of their time, Smith’s reaction was harsh. He wrote to a friend, “The Lincolnshire mobs provoke our severest indignation for opposing the militia, and we hope to hear that the ringleaders are all to be hanged” (Smith 1757, pp. 2122). So much for laissez faire! His hon. friend, the member for Portarlington, had argued as if he had dropped from another planet; as if this were a land of the most perfect liberty of trade as if there were no taxes no drawback no bounties no searchers on any other branch of trade but agriculture; as if, in this Utopian world, of his hon. friend’s creation the first measure of restriction ever thought on was that on the importation of corn; as if all classes of the community were alike as if all trades were on an equal footing; and that, in this new state, we were called upon to decide the abstract question, whether or not there should be a protecting price for corn? But we were not in this conditionwe were in a state of society in which we had manufactures of almost every description, protected in every way, even to criminal enactments, to prevent the raw material from going out of the country, in order thereby to assist the native manufacturer.’ (Ricardo 19521973: v, pp. 56 and 85). In contrast to Ricardo’s abstract theoretical analysis, Riccardo was quite blunt about matters touching on primitive accumulation in his private correspondence. For England, where the labor force had already largely been saddled with wage labor to use Steuart’s metaphor, Ricardo recommended large farms and cheap food to lower the cost of wages. In Ireland, however, he advocated small farms and expensive food, which makes perfectly good sense in terms of the logic of primitive accumulation. In response to the suggestion of his friend, Hutches Trower, that “no permanent or substantial good [in Ireland] can be done until all small farms and small tenancies are got rid of” (Ricardo 19511973, ix, p. 145), Ricardo agreed with the ultimate goal of eliminating smallscale agriculture in Ireland (Ricardo 19511973, ix, p. 153); however, he believed small farms were an effect rather than a cause of conditions in Ireland. In some countries of Europe, and many of Asia, as well as in the islands in the South Seas, the people are miserable, either from a vicious government or from habits of indolence, which make them prefer present ease and inactivity, though without security against want …. By diminishing their population, no relief would be afforded, for productions would diminish in as great, or even in a greater proportion. The remedy for the evils under which Poland and Ireland suffer, which are similar to those experienced in the South Seas, is to stimulate exertion, to create new wants, and to implant new tastes…. The facility with which the wants of the Irish are supplied, permits that people to pass a great part of their time in idleness: if the population were diminished, this evil would increase, because wages would rise, and therefore the labourer would be enabled in exchange for a still less portion of his labour, to obtain all that his moderate wants require. Give to the Irish labourer a taste for the comforts and enjoyments which habit has made essential to the English labourer, and he would be content to devote a further portion of his time to industry, that he might be enabled to obtain them. Not only would all the food now produced be obtained, but a vast additional value in those other commodities, to the production of which the now unemployed labour of the country might be directed. George Ensor roundly attacked Ricardo for these words. He pointed out that the English labourer “is no object of admiration.” Then he asked: “But how are these tastes to be excited in Irish labourers? Is it supposed that they are not like other human creatures? but that they make choice of privations?” (Ensor 1818, p. 106; cited in Ricardo 19511973. i, p. 100n). After the section came under the critical scrutiny of Ensor, Ricardo changed its tone, but not its meaning. He wrote, “To be made happier, they require only to be better governed and instructed, as the augmentation of capital, beyond the augmentation of people would be the inevitable result” (Ricardo 19511973; 1: 100). Although food was cheap in Ireland, so too was life. British observers commonly denounced the Irish for their laziness, noting at times their excessive number of holidays (Mokyr 1983, 218, 222). Yet, for all the talk of indolence, the people had to go to great lengths to survive. The Irish collected and dried seaweed for manure. Irish children had to search for horse droppings on the roads in an effort to coax a few more crops from the soil (McGregor 1992, 479). From Ricardo’s perspective, the problem was not indolence but a failure to adjust to the demands of wage labor. Skip ahead almost two centuries to the contemporary world. In many ways, primitive accumulation displays considerable continuity. The confiscation of land continues unabated in many parts of the world, but on a far more extensive scale than ever before, without the pretension of a shroud of legalism. The victims of this practice are frequently indigenous people. Excessive debt burdens foisted on relatively powerless countries leaves governments in desperate need of money. Government officials might propose sweeping people off their land to make way for private business as a means to some public benefit, such as necessary tax revenues. Although the ostensible purpose is always presented as beneficial for the country, their leaders are often people who appreciate welldirected bribery. In such countries with large reservoirs of society in which capitalist social relations have not entirely displaced traditional economies, advanced capitalist interests behave in much the way as Marx’s traditional primitive accumulationists at least from the perspective of the people victimized by the process. For example, in India, the socalled communist government of West Bengal used a colonial law that permits the government to seize land for industrial purposes. In addition, the grasping spirit of an emerging capitalist economy on the make is perfectly consistent with both classical primitive accumulation and modern capitalist practices. Something similar occurs in the United States, where the legal concept of eminent domain allows governments to seize property to be used for some supposedly public purpose. The legal system justification was to assist in the development of essential public services, such as roads or bridges. The application of eminent domain has been extended to cover commercial property. For example, someone can approach a government with a proposition to take over a property to build an expensive housing or shopping project on private property. Although the existing property owners must be compensated, the final price generally comes nowhere near what the property is worth to its previous owners. However, this practice is relatively limited in the United States, perhaps because of the importance of the sanctity of property there. What comes next is a tragic echo of primitive accumulation, but on an international scale. This pervasive seizure a central part of neoliberalism is not directed at the private property of individuals but stripping away the basis of social welfare throughout the globalized world, typically by using extra market forces. Public pensions are under attack, while private pensions are fast disappearing. What parts of the environment have escaped privatization are becoming contaminated by uncontrolled capital. This especially pernicious form of primitive accumulation is underway on a global scale is part of an allinclusive program to remake the entire structure of the world economy with an eye to improve profits by undermining peoples’ livelihood. It has already progressed very far. Globalization is an obvious component, but it is only one of many methods to carry out a modern version of primitive accumulation, which is operating on an international scale. I recall many years ago overhearing Milton Friedman in a conversation about the beneficial effect of opening up the United States economy to trade with China. With many millions of unemployed and underemployed Chinese, he correctly predicted that American business would relocate production there to take advantage of cheap Chinese labor there. As domestic industry would move production abroad, domestic wages were to decline. Later, with creation the North American Free Trade Agreement, U.S. business routinely confronted unions with the threat that they would relocate to Mexico unless workers agreed to substantial cuts in wages and benefits. Friedman was taking account of one side of a more complex arrangement. Just as James Steuart recognized centuries ago, pushing people too far into poverty is selfdefeating. Although poverty may be useful in cutting costs of production by lowering wages, poverty also constricts demand, hurting capital from the other side. This contradictory effect created contractionary pressure, which induced capital to intensify the financialization of the economy to make up for the loss of opportunity to profit as much from the direct sale of commodities. Classical primitive accumulation reflected the optimism generated by the new opportunities that adolescent capitalism offered especially the growth of urban markets in the low lands of northern Europe with a domestic incapacity to produce enough wool to satisfy demand. This situation opened up a lucrative export market for England. All that was required was to seize the land that supported peasants to raise sheep and, perhaps, to become rich. Today, matters are more complex. In contrast, modern primitive accumulation reflects a more pessimistic vision associated a fall in the rate of profit from the levels enjoyed during the post-World War II Golden Age. With no options capable of confronting the accumulating contradictions of an aging capitalist system. Sufficient improvements in production did not seem to be at hand. Instead, higher productivity was taking a toll on profits. Because of an even more extraordinary development of the capacity to produce the same commodities (ignoring environmental and human costs), relatively few factories, employing a diminished labor force, are capable of flooding the market with a seemingly infinite supply of their products. As the market becomes increasingly clogged, profits, except for monopolistic industries. For example, the airline industry is recovering by virtue restricting production, moving parking significant parts of their fleets to sit in the desert. The shortage of flights increased the airlines’ market power allowed fares to rise, along with fees, while services declined. Although most industries do not have that option, profits have recovered due to a cannibalization of the economy that includes a vicious attack labor, rapacious finance, and a bleeding of the public sector. Friedman’s delight in the prospect of Chinese peasants defeating the working class in the United States beautifully caught the spirit of the new age of primitive accumulation in the face of intensifying contradictions of the market. Ironically, the United States had a long history of salivating over the prospect of opening up China as a market for U.S. production. As far back as its first Secretary of the Treasury, Alexander Hamilton, China represented “an additional and extensive field for the enterprise of our merchants and mariners, and as an additional outlet for the commodities of the country” (Hamilton 1791, pp. 2021). In contrast, Friedman’s vision was one of pure redistribution. The goal was not to wage war against less developed nations or the established colonial powers, but against domestic labor. Putting pressure on labor would increase profits by lowering wages. Even better, unions would lose power, lowering the resistance to modern primitive accumulation. In this respect, Friedman’s analysis had more in common with Karl Marx than Adam Smith. Modern primitive accumulation is a central part of the project of creating a world of hyper-capitalism in line with Milton Friedman’s worldview. The Confiscation of Economic Prosperity lays out the relentless way in which the primitive accumulationists carried out their siege of the public sector. One might be tempted to concentrate on the more superficial aspects of this class war. For example, despite the importance that Friedman seemed to be giving to the reduction of wages, lowering wages in only one part of the extensive program of the primitive accumulationists. Yes, modern primitive accumulation certainly takes an active interest in doing everything possible to cripple labor unions and to diminish workers’ rights has an entirely different kind of seizure in mind the seizure of the public sphere. Is it a stretch to claim that the class war of neoliberalism constitutes a modern counterpart of classical primitive accumulation? Are the Austerians primitive accumulationists? Karl Marx may suggest an affirmative answer, judging by a famous passage: “The public debt becomes one of the most powerful levers of primitive accumulation” (Marx 1977, p. 519). More recently, Milton Friedman, reflecting the perspective of the modern primitive accumulationists, unintentionally echoed Marx, calling public debt a “blessing” because it will hobble the government sector allowing more of the surplus to go to capital (Friedman 1988; also see Perelman 2007). Asset stripping is perhaps the closest analog to classical primitive accumulation. Governments face commands to sell islands and to give public spaces to private business interests for a minimal price. This seizure of public property comes without the brutality associated with primitive accumulation. Lower taxes, a major objective of modern primitive accumulation, not only bloat the wealth of the wealthy; they also increase profits. However, the overriding goal of the tax cuts was to create severe financial stringency for government. The resulting financial pinch was expected to create crises, forcing governments to surrender to a tsunami of austerity. In the face of great debt, governments put the burden of austerity on those less able to support such burdens. Privatization is the order of the day, preventing governments from meeting pressing public needs with the justification of the supposed efficiency of the profit motive. In the case of governmentsupported privatized businesses, such as schools, the more privatized operations cost, the more government spending occurs, but money spent in that way is transferred into profits at the same time it increases the pressure for deficit reduction. Perhaps the most obvious attack on a public institution in the United States is directed at the Post Office. Private operation of the post office would offer a new source of profits, but, more important, the Post Office holds very valuable buildings on prime downtown real estate in most cities. To hobble the Post Office, Congress made the impossible demand that the postal system set aside enough money to fund its workers pension and health care costs for 75 years in the future. Very few private corporations could meet such a demand. This policy has been very successful because the postal system is presently incapable of meeting this unnecessary obligation. The privatization of public property is perhaps most severe in the case of Greece. As governments surrender traditional roles, primitive accumulation strips away public supports that serve or protect the interests of most people. For example, by starving public pension funds of adequate resources to meet their obligations, they have no choice but to throw their lot in with speculative private equity funds and hedge funds, leaving them vulnerable to collapses, such as that experienced beginning in 2007. The result is that the condition became even worse. Given the fiscal stringency of the time, around the world, calls to rein in pension benefits have become commonplace. Modern primitive accumulationists smooth the path toward hyper-capitalism by restricting unions. Lowering wages is a secondary benefit. More important, undermining unions disempowers people, leaving them less able to resist modern primitive accumulation. Similarly, by starving higher education of needed funds the need for taxes falls, but, even more important, colleges and universities have no choice but to call upon major corporations for support. Universities have no choice but to remake themselves in a way that serves corporate needs. Liberal arts suffer, while fortunes are spent on elaborate research facilities producing results that corporations can monetize. Besides losing much of their autonomy, universities integrity suffers in the process. Because tuition soars, in part because of intentional defunding, forprofit colleges seem more reputable, opening up a lucrative new market. Lacking adequate financial resources, public transportation cannot afford adequate maintenance and restricts the services it can provide, laying the groundwork for privatization while serving to increase the market for private transportation. Perhaps the most grotesque attack is directed toward public schools. A combination of defunding together with the drumbeat of propaganda blaming teachers and their unions for all the ills of public education has been effective in building up support for privatizedforprofit charter schools, which can reduce costs by paying teachers less and by refusing to educate students who might be more difficult to teach, such as disabled students. By excluding students with learning disabilities or limited language proficiency, these schools can make their performance look better relative to public schools, which have an obligation to take on all students. Of course, this sabotage of public education is supposedly intended to save the educational system, which is almost universally accepted as a major bulwark of a successful society. Yes, the modern primitive accumulationists are intent on eliminating regulations and lowering taxes, but the crippling of the public sphere opens up new markets that offer even greater profits. The ultimate effect of this hyper-capitalism will be a reduction in the ability to serve public needs: education, health care, environmental protection, etc. Privatization of social security promises an immense pool of money, capable of generating enormous fees, which will serve to deplete the funds available for payment to the supposed beneficiaries. Privatizing Medicare promises a boon to the insurance companies and medical providers. As if they were making personal sacrifices, the advocates of modern primitive accumulation trumpet their heroic efforts to save popular programs and institutions by reforming them, when in reality they stand to profit mightily from such policies. However, profits never enter into the conversation. Instead, “reform” becomes the operative word. The stated objective is always to protect what most people value. In this environment, modern primitive accumulations present themselves as virtuous and disinterested public benefactors, behaving as if the world owes them a debt of gratitude for their willingness to “make the hard choices.” Their propaganda bombards the public at large to convince people that public institutions are inherently dysfunctional; only profitoriented operations can work efficiently. Privatization is the only hope for salvation. Some of the primitive accumulationists may have deluded themselves into believing they are actually performing a public service by following the natural law of the market, or perhaps God’s work, as the CEO of Goldman Sachs, Lloyd Blankfein, remarked, perhaps only half humorously. The brazen actions of the classical primitive accumulationists almost seem honest in comparison with the effrontery of their modern counterparts. Modern primitive accumulation obviously differs from its classical counterpart in another respect. Modern primitive accumulationists are not directly seizing peoples’ means of production. Frequently, their booty is public wealth, created by the working class. For example, two prime targets for primitive accumulation in the United States are Social Security and Medicare, both of which can be described as “earned benefit programs” because of the extent that workers have already directly contributed to them. In this sense, much of modern primitive accumulation might resemble the theft of the crop rather than the land upon which it was grown. In both classical and the modern versions of primitive accumulation, the result is the impoverishment of the masses for the benefit of a small minority. Modern primitive accumulation does not usually directly confiscate property of individuals. Instead, it operates indirectly by eliminating public benefits. The immense scale, scope, and intensity of contemporary primitive accumulation makes the dispossession of relatively few peasants in rural England a few centuries ago seem almost bucolic. Instead, modern primitive accumulation threatens entire populations, and even states, worldwide, with a shocking degree of acquiescence. Modern primitive accumulation even spouts its own distorted version of morality based on individual responsibility in spite of the abhorrent irresponsibility of the modern primitive accumulationists. David Harvey interprets capital’s attempts to solve its contradictions as merely displacing problems. Perhaps, one should go further in saying that capital “solves” problems by creating even bigger ones. Looking at the succession of supposed solutions over time gives the impression of flailing about without any clear understanding about the nature of the workings of capitalism. As a result, the supposed American dream has morphed into a nightmare. In my book, Railroading Economics,I tried to analyze the history of the U.S. economy in terms of the way such presumed solutions played a major role in driving the economy into new difficulties, which required new solutions, which created still newer problems. For example, by the end of the Civil War in the United States, the economy was entering what may be called the real industrial revolution, with industry rapidly developing the technology to harness fossil fuels more effectively than ever before. By taking advantage of this technology, largescale production facilities became almost commonplace. The result was a capacity to produce commodities that far outstripped the capacity of the population to purchase them. Under these conditions, intense competition broke out, so much so that many industries were on the ropes. Business survival depended upon finding new costcutting technologies, but each advance in technology required an increasing scale of investment in fixed capital, which increased productive capacity, worsening the already severe problem of overproduction. The further saturation of markets intensified competitive pressure. Business reacted by lowering prices, a process that continued until prices fell towards the cost of producing one more unit. These prices did not include any allowance for the money sunk into investments in expensive capital goods. Because that money has already been spent, it does not affect the cost of producing another unit of output. For example, the cost of filling a seat on a plane would include the extra costs that a new traveler imposes. In that sense, the original cost of the plane is irrelevant. In his presidential address to the American Finance Association, Michael Jensen offered some dramatic examples of this rapid deflationary process associated with the Real Industrial Revolution: the Bessemer process reduced the price of steel rails by 88 percent from the early 1870s to the late 1880s. During the same period, electrolytic refining reduced aluminum prices by 96 percent, and synthetic blue dye production costs fell by 95 percent (Jensen 1993, p. 835). Because this intense competition forced prices to decline to a level insufficient to cover the costs of invested capital, an epidemic of bankruptcy broke out, creating what was then known as the Great Depression, a name that was later reappropriated during the Twentieth Century. This Great Depression, which soon engulfed the great economic powers, began in 1873 and only ended in the 1890s. The leading young economists in the United States were trained in Germany in a tradition similar to what Karl Marx experienced as a student. The German economy, with its cartels, seemed relatively healthy, despite restrained competition. The lesson of the depression for these young American economists was that competitive markets have an ingrained deflationary bias. Disgusted by the effects of competition, J.P. Morgan initiated a wave of corporate consolidations, culminating in the creation of United States Steel. As trusts, cartels, and monopolies began to form, the resulting lack of competition depressed economic dynamism. However, the fear of renewed depression eventually subsided. Ignoring the monopolistic structure of the economy, business became enthralled with free market ideology once again and economists fell in line. While corporate consolidation helped to treat one problem, it created another. Lacking sufficient incentives for investment in modernization, productivity stagnated, while excessive speculation developed in a few dynamic sectors, symbolized in the soaring price of stock in the Radio Corporation of America, the precursor of the later dot.com boom, which eventually morphed into the Great Depression. First, a little historical background will help to put the recent crisis in context. After the speculative excesses of the protoneoliberalism of the 1920s culminated in a stock market crash, the Great Depression hit the United States, along with much of the rest of the world; however, some parts of the world benefited from the temporary inattention of the great capitalist powers. Just as was the case before the recent speculative meltdown, investment in new technologies was relatively limited with one exception: the use of electric motors in factories. Previously, factories ran on steam power, which depended upon a complex network of belts and pulleys. This awkward system consumed a great deal of space, which otherwise might have been used for the direct production process. A good deal of power was dissipated by friction. Finally, this system was plagued by frequent shutdowns caused by the rupture of the leather belts, which could not hold up after a period of wear and tear. The Great Depression was not an unmixed setback for the market economy. As was the case in the previous depression, business was forced to modernize. In the process, it discarded an enormous amount of old and obsolete equipment, similar to the case of the earlier steamdriven belt and pulley power. The result was a surge in productivity. However, oligopolistic industries, such as steel, which did not face serious international competition, were an exception. Here we come to an important contradiction of capitalism. Economists generally agree that competition is essential for a healthy economy. That idea resonates in all of their textbooks. Their textbooks also agree that depressions are a symptom of a sick economy. This distinction between depressions and competition is at odds with reality. In fact, depressions may be understood as an intensification of competition. Alexander Field recently published a valuable book that will make the case that the Great Depression represented what may have been the most productive decade in the history of the United States so long as we measure productivity by output per unit of input. This soaring productivity stands as clear evidence of the connection between competition and economic collapses. By the way, economics textbooks also teach that as productivity increases higher wages will necessarily follow, even though a glance at the current economy around should be enough to disprove that theory without a need to look back at the Great Depression. With the economy in shambles, the New Deal became a virtual necessity. Government programs reduced the degree of competitive pressures by creating new sources of demand, but not enough to put an end to modernization. The Depression also increased the future economic viability of the country by wiping out large amounts of debt. The depression also “paved” the way to future prosperity by New Deal policies to build roads and other infrastructure, which helped to reduce the costs of bringing goods to the market. Finally, New Deal regulation of the financial system helped to bring about decades of relative financial stability. The renewal of competitive forces meant that the period was accompanied by soaring increases in productivity. Although greater productivity meant less employment, economic modernization prepared the way for a better future. World War II followed the Great Depression. Just as was the case with the tragedy of the Depression, the horrors of war had a positive economic legacy. This sequence of depression and war, together with accumulated savings and a backlog of demand, set the stage for the longest period of sustained prosperity in history of the United States, justifying the label of the Golden Age. A number of postwar conditions lined up almost perfectly. In addition to inducing a burst of productivity, the Depression wiped out much of the economy’s accumulated debt. During the war, factories that ordinarily produced goods, such as cars and refrigerators, were converted into military suppliers. The restricted consumer market created additional savings. With the end of the war, consumers, flush with their wartime savings, could finally purchase previously unavailable goods. As an added benefit, competitors of the United States, such as Japan and the European powers lost a considerable amount of their capital stock. Postwar recovery required major dependence upon the productive capacity of the United States. The Golden Age created the expectation of a new normal high profits coexisting with increasing wages. Under such conditions, the competitive pressures that had been at work during the Depression were no longer active. In particular, business felt little need to modernize its productive structure. Instead, it rested on its laurels, while foreign competitors were rebuilding their industries with modern equipment at breakneck speeds. As the Golden Age was drawing to a close, the Vietnam War also put serious economic pressures on the economy. The economic vigor that characterized the Golden Age disappeared by the late 1960s. Falling profits, increasing balance of payments deficits, and a restive labor force were creating a panic within industry circles. How could profits be restored? Vigorous economic growth did not seem to be on the horizon. If the economy was incapable of producing a greater output, capital had to claim a bigger share of the economic pie by means of modern primitive accumulation. I set out to chronicle the evolution of this process in my book, Confiscation of American Prosperity: From RightWing Extremism and Economic Ideology to the Next Great Depression. After a long gestation period, just as the financial crisis in United States was becoming obvious in October 2007, the book finally appeared, predating the new genre of crisis literature. This book follows the unfolding of a destructive corporate coup that eventually led to the recent crisis. In that book and in an earlier book, Manufacturing Discontent: The Trap of Individualism in a Corporate Society, I tried to document the massive program of redistribution a fullscale class war designed to remake every aspect of society. As a result, the legal system, the judiciary, the educational system, the entire regulatory system, as well as the social safety net to name only a few of the targets all had to be transformed in order to carry out this program. To make it worse, this virus of neoliberalism spread throughout the entire globe. The crux of the Confiscation book was that this round of primitive accumulation was bound to be selfdefeating, a point highlighted in the final part of the book’s subtitle: To the Next Great Depression. Of course, the great crash of 2007 was not a great depression, but only a symptom of more serious underlying problems. Nonetheless, for the time being, capital has able to regroup, restoring much of its wealth and power, at the expense of society at large. It did so without suffering any serious political or legal repercussions for its often illegal actions. One might get the impression that the recent economic turmoil is responsible for this contemporary wave of primitive accumulation that began with the end of the Golden Age. What we are experiencing today is part of a longstanding program that predates the iconic figures of Ronald Reagan and Margaret Thatcher, who are often credited as the inspiration and architects of modern neoliberalism. 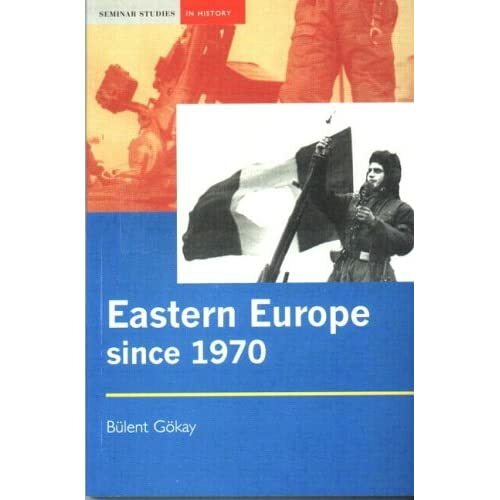 The book, like much of this paper, concentrates on the country I know the best, but many of the abuses will be familiar throughout the world, especially in Europe today. At the same time, in wartorn Europe and Japan, many industries had to be rebuilt from scratch, meaning that they were operating with the newest and most efficient available capital goods. In the United States, businesses frequently rested on their laurels, squeezing profits out of obsolete factories. Over time, foreign competition overwhelmed many of these companies, leading to hard times. Profits sagged, causing something between consternation and panic. By 1971, Lewis Powell wrote his famous letter, a call to arms for launching a neoliberal project. The Confiscation book follows that revolutionary remaking of the U.S. economy, which supported a recovery of profits at the expense of wages, unions, the social safety net, and the last shreds of decency. This process also dismantled the regulatory system that helped to shield the economy from some of the worst abuses of capitalism. The consequences of this campaign became clear with the financial meltdown. Within a relatively short period of time Europe fell in line with this AngloSaxon version of political economy. Europe went even further, saddling its economy with a structural inability to respond to crises. In the United States, serious discussion, let alone strong political resistance, seems almost impossible at this juncture. Modern Primitive Accumulation is treated as “Sound Economics.” The consequences of modern primitive accumulation are probably more severe in southern Europe than what the United States has experienced. Ironically, Germany, where some of the most important innovations in social welfare policies first emerged, has become the leading enforcer of neoliberalism in Europe. Even more ironically, the German finance ministry is located in the former headquarters of the Luftwaffe. The remaking of the society for the convenience of capital filtered down into everyday life. 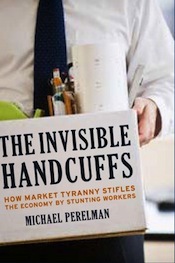 In my latest book, The Invisible Handcuffs of Capitalism, I use the Greek myth of Procrustes in which unwary travelers find themselves in an iron bed upon which their bodies are ether stretched or part of their limbs removed to fit the bed. The ultimate goal of reform is a world in which justice means the assurance of even greater profits for business and financial interests at the expense of society, even if this socalled justice means shredding every last remnant of humanity that has still managed to survive the onslaught of hyper-capitalism. The scale and scope of this ruthless round of primitive accumulation is so thoroughgoing that one might almost imagine the original primitive accumulationists as rather compassionate. Nonetheless, the world of hypercapitalism is Procrustean. Everybody is expected to alter their lives in order to conform to the need for greater profits. A crucial front in the new class war was a strong dose of sadomonetarism to slow the economy down to create unemployment. The purpose was to keep wages in check. When Paul Volcker announced his intention to use the Federal Reserve as an instrument of class warfare actually he was not so blunt in public he invited the editor of the Wall Street Journal editorial page, a deputy, and the features editor to a lunch at the New York branch bank of the Federal Reserve. Volcker asked his guests, “When there’s blood all over the floor, will you guys still support me?” The deputy editor responded affirmatively, later proudly recollecting, “There was blood indeed, as overextended Latin borrowers and American farmers were caught out by a return to a sound dollar. But we held fast” (Melloan 2003). This policy was so successful that Greenspan, then Chairman of the Federal Reserve Board, gloated about the traumatization of labor. Such policies are ironic, considering that policymakers pretend that all social objectives whether higher wages, better working conditions, environmental protections, or even the quality of life must give way to the promise of job creation. The two concluding sections of the in The Invisible Handcuffs chapter on sadomonetarism attempts to catalogue some of the human and economic costs of labor discipline. At his seaside villa in Dubrovnik, Croatia, the Chief Executive Officer of American International Group Inc. Robert Benmosche, recipient of the largest bailout of the financial firms in the United States updated Keynes. Benmosche said Europe’s debt crisis shows governments worldwide must accept that people will have to work more years as life expectancies increase. “Retirement ages will have to move to 70, 80 years old … That would make pensions, medical services more affordable. They will keep people working longer and will take that burden off of the youth” (Cerni and Tracer 2012). Michael Perelmanteaches economics at Cal State at Chico. He is the author of Railroading Economics and The Invisible Handcuffs of Capitalism. Friedman, Milton. 1988. “Why the Twin Deficits Are a Blessing?” Wall Street Journal (14 December): p. A14. Hamilton, Alexander. 1791. “Report on the Petition of the Merchants of Philadelphia Trading with India and China.” Communicated to the House of Representatives (10 February, 1791). In Harold Syrett et al., eds., The Papers of Alexander Hamilton, 27 vols., vol. 8 (New York: Columbia University Press, 1965): pp. 2021. Keynes, John Maynard. 1925. “The Economic Consequences of Mr. Winston Churchill.” in Essays in Persuasion, vol 9, The Collected Works of John Maynard Keynes (ed.) Donald Moggridge (London: Macmillan, 1972): pp. 20730. Marx, Karl. 1977. Capital . Vol. 1 (New York: Vintage). Nef, John U. 1950. War and Human Progress (New York: W. W. Norton). Southey, Robert. 1820. Life of John Wesley (London: Longman, Hurst, Rees, Orme, and Brown): pp. 2359, 416ff. Taylor, John. 1814. An Inquiry into the Principles and Policy of the Government of the United States (New Haven, CT: Yale University Press, 1950).